As a mum I am always trying to make sure my family gets their 5-a-day of fruit and vegetables and hopefully more. As adults we have no problem eating most fruits and vegetables (ok my husband’s not keen berries because of the seeds) but children can be a bit more picky and difficult to please. There’s nothing I hate to see more than a pile of wasted vegetable on a plate! So that’s why I love soup, you can hide all manner of vegetables in it that if cut up on a plate your kids might just turn their noses up at. 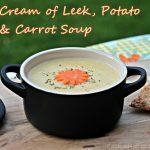 The other night with a vegetable drawer heaving with leeks, potatoes and carrots I decided to make this Cream of Leek, Potato and Carrot Soup made not with cream but a little butter and some semi-skimmed milk. Getting extra calcium in the soup in this way is also a good idea for children whose bones are growing as many (like my son) go off drinking milk when they get to a certain age. 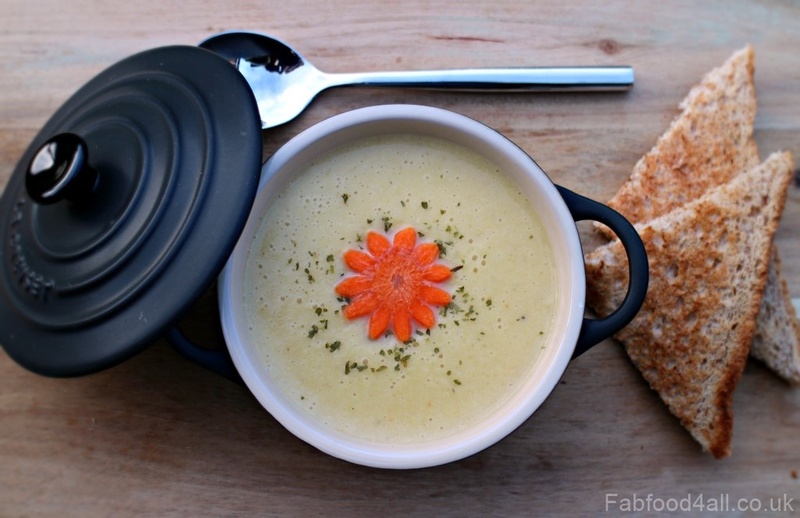 We had this soup for dinner with lots of crusty wholemeal bread, cold meats and cheese. Since this recipe makes 8 portions it is ideal for putting in a thermos the next day to take to work or just freeze the rest to have an easy meal another night! 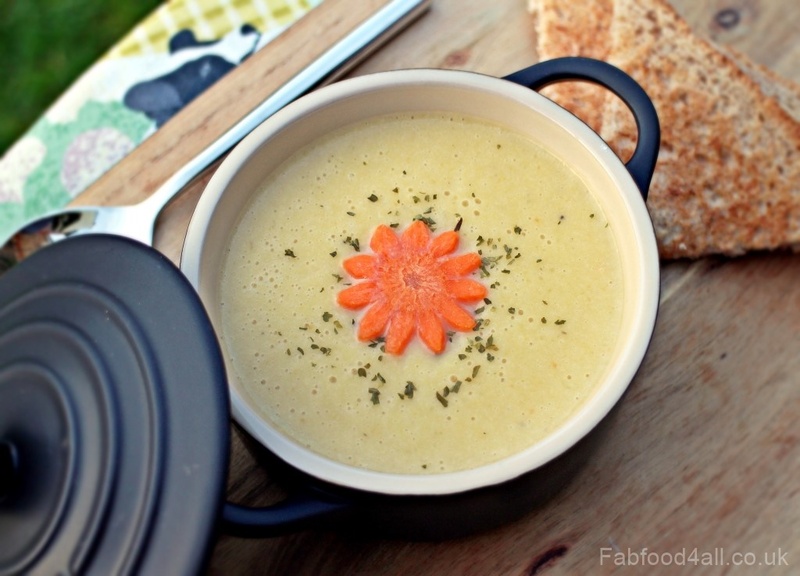 I’ll be making this soup again soon as the whole family loved it. If you’d like to find some more family friendly healthy recipe ideas then head over to Go Compare where you’ll find a great selection and if you use Twitter look out for #GoHealthy. 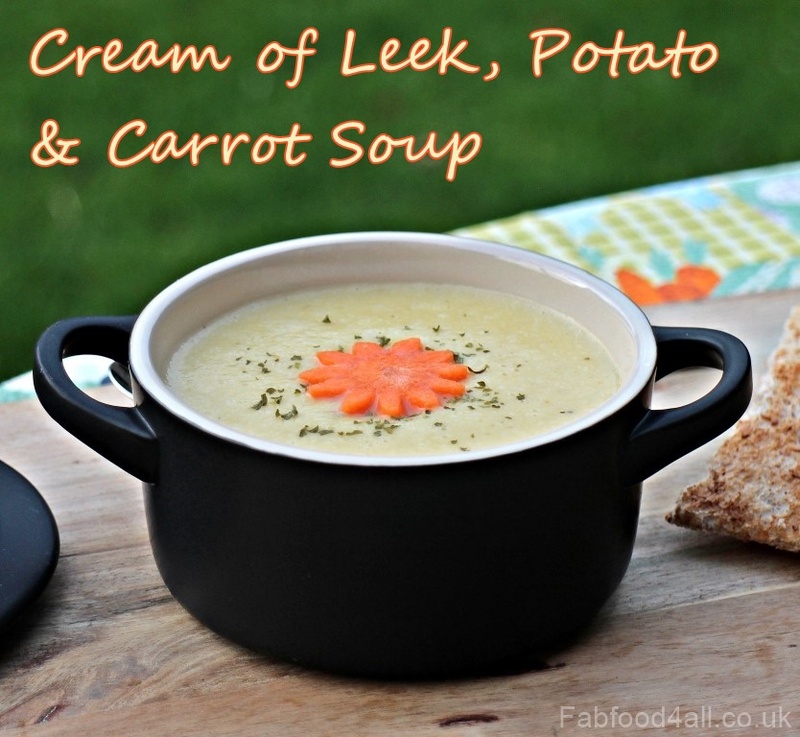 Cream of Leek, Potato & Carrot Soup is a healthy, family friendly soup packed full of nutrients. Start by finely dicing the onion. Slice the leeks (using as much of the green part as possible) and rinse well in a colander to remove soil. Peel and roughly chop the potatoes and carrots. Wash and chop the celery. Heat the butter and oil in a large pan over a medium heat and add all the vegetables and garlic. Mix well and sweat the vegetables under a lid for about 15 minutes stirring occasionally. Add the mixed herbs, stock, salt and pepper. Take off the heat, add the milk and blend to a smooth consistency. Bring back to a gentle simmer, adjust seasoning if necessary and serve with crusty bread. NB: Post commissioned by Go Compare. Lovely recipe, looks super duper tasty & bravo for presentation. Soup can look so plain normally but this is Top Class. Fantastic end result – the soup looks delicious! Great twist on a classic, Camilla! Sharing on my FB page today! This will be just the thing when the weather gets colder. Healthy and tasty – winning combination. I love a good bowl of soup and this one sounds very nice.